Is there a better alternative to R10BatchMail? Is R10BatchMail really the best app in Email category? Will R10BatchMail work good on macOS 10.13.4? 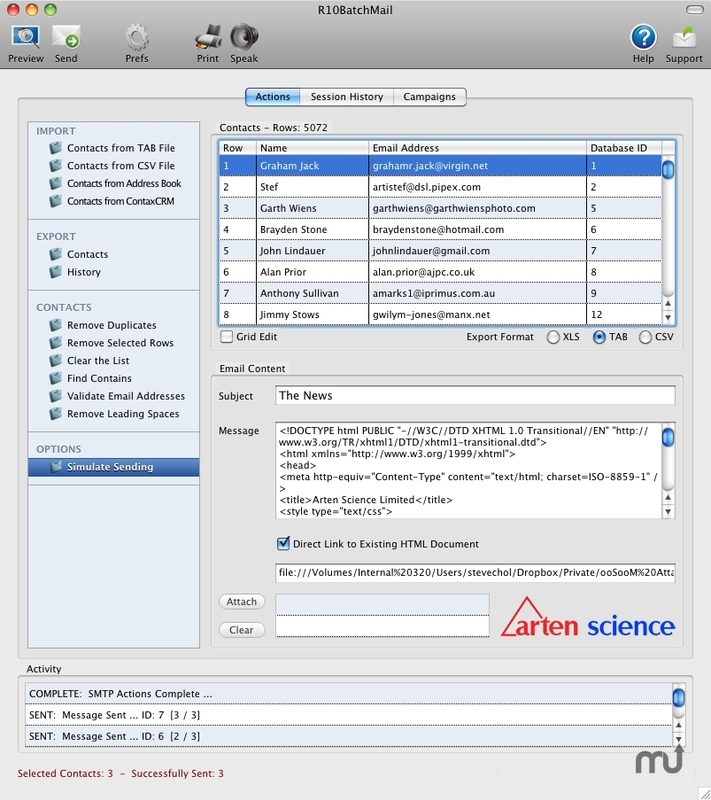 R10BatchMail is a simple to use but powerful Bulk Email Sending program for Mac and Windows. R10BatchMail is useful for sending a newsletter, informing a change of address, marketing new products and services or quite simply any other reason you need to contact your prospects, suppliers and customers. You can personalise the email with the recipients name and even include attachments. With R10BatchMail there is no need to clutter up your Address Book with prospects in order to contact them via email. Data is imported into R10BatchMail either from a ContaxCRM Database, your Apple Address Book or from an industry standard TAB Delimited file. A TAB Delimited file can be created from almost any application that holds data, and is the default format for 'bought in' lists. R10BatchMail records what was send and who to and allows you to export this history to Excel, a TAB Delimited File or Comma Separated File. From this file you can update your corporate database if necessary. R10BatchMail was designed primarily to be easy and quick to use, whilst still providing the essential functionality required.